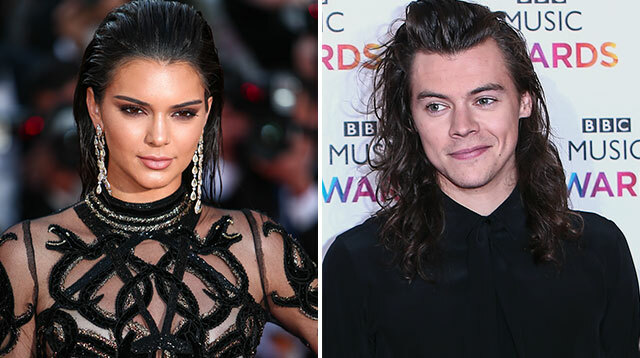 Harry Styles + Kendall Jenner Are Reportedly Dating Again! One Direction hunk Harry Styles is reportedly rekindling his on/off romance with supermodel Kendall Jenner. The young stars have been linked romantically on various occasions over the past three years and they were photographed ringing in 2016 on board a luxury yacht in the Caribbean. Taylor Swift's ex reconnected with Kendall in April, when they were photographed shopping together in Los Angeles, and now sources reveal the couple is giving its relationship another go, according to People.com. The pair was spotted enjoying a dinner date at popular L.A. restaurant Ysabel on Thursday, when an eyewitness claimed Kim Kardashian's younger sister spent the whole night "beaming." Another insider alleges the 22-year-old British pop star, who recently completed filming new Christopher Nolan war movie Dunkirk, and 20-year-old Jenner are "trying to spend time together again." "They're rekindling their old romance and Kendall's so excited and happy about it," the source continues to the publication. "She's always cared about Harry." The news emerges weeks after reports suggested Kendall had embarked on a romance with rapper A$AP Rocky, after grabbing dinner together in Paris, France in June. They were subsequently seen hanging out together in L.A. and New York City, while Rocky appeared to be the model's date as they attended a 19th birthday party for Kendall's sister Kylie Jenner in late July. Kendall had previously been rumored to be dating Los Angeles Lakers player Jordan Clarkson, who she is said to have started seeing earlier this year after her last breakup with Harry. They were spotted together in Hollywood in March, while Kendall also appeared courtside as Jordan's team played the Sacramento Kings at the Staples Center in Los Angeles. Kendall has never commented on her love life.